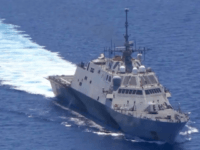 U.S. officials confirmed on Wednesday that the French frigate Vendemiaire sailed through the Strait of Taiwan on April 6 and Chinese military vessels shadowed it. 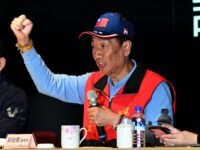 Terry Gou, chairman of the electronics manufacturer Foxconn, announced on Wednesday his intention to run for the presidency of Taiwan, in a move that is likely to shake up the country’s political landscape ahead of next year’s elections. 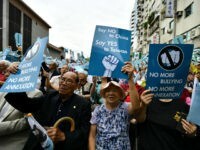 A coalition of Taiwanese student groups announced the creation of the “Youth Front for Boycotting Fake News” over the weekend. 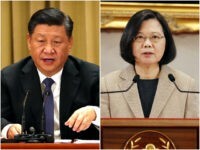 The organization intends to challenge Chinese efforts to influence Taiwanese culture and politics with propaganda. 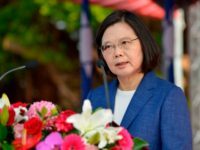 TAIPEI, Taiwan — President Tsai Ing-wen responded to Chinese military provocations Tuesday asserting that Taiwan’s military stands ready to defend the island nation if necessary following Beijing’s decision to fly military aircraft near Taiwan this week. 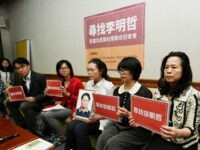 U.S. envoy Brent Christensen, the de facto American ambassador to Taiwan, on Monday pledged continuing U.S. support for Taiwan to join international organizations like Interpol and the World Health Organization (WHO) despite China’s campaign to isolate the island nation. 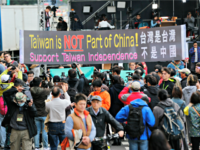 A senior U.S. State Department official traveled to Taiwan this week to commemorate the 40th anniversary of the Taiwan Relations Act in a sign of U.S. support for Taiwan. 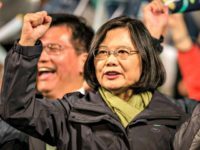 Taiwan’s President Tsai Ing-wen warned an audience at a speech commemorating the nation’s Freedom of Expression Day on Sunday that China is actively attempting to “use our democracy against us” through misinformation campaigns designed to curb the nation’s sovereignty. 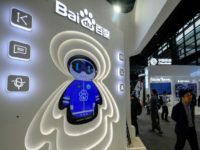 Officials in Taiwan are preparing to block Chinese streaming services Baidu and Tencent over fears that Beijing will use them to influence the country’s upcoming election season. 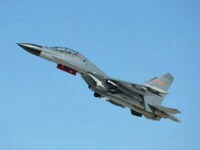 Two Chinese fighter jets violated the airspace of Taiwan on Sunday, prompting the island to scramble its own fighters and warn the Chinese planes away. 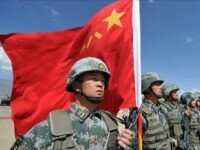 U.S. National Security Adviser John Bolton denounced China’s behavior on Monday as a “provocation” that will only strengthen Taiwan’s resolve. 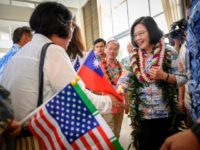 Taiwanese President Tsai Ing-wen made a stopover in Hawaii on Wednesday after visiting several of Taiwan’s Pacific allies. 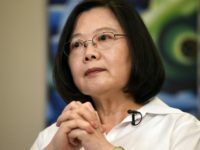 From there she held a teleconference with the Heritage Foundation in which she praised the Trump administration’s support for Taiwan and its positive response to a request for more advanced weapons to hold China at bay. 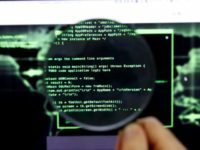 Taiwanese computer hardware company ASUS has confirmed reports claiming that the company was used by hackers to install backdoors on customers’ computers. The U.S. sailed warships through the Taiwan Strait this weekend, leading to anger from Beijing who warned such actions could further undermine relations between the two countries. 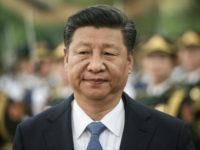 The Vatican’s number-two man said China should not be afraid of the Catholic Church as Chinese President Xi Jinping prepares to travel to Rome this week. 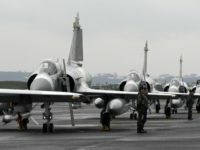 The government of Taiwan has submitted an official request to purchase new fighter jets from the United States designed to “counter current enemy threats,” as tension with China over the island’s sovereignty continues to mount. 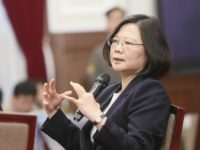 A group of Republican senators on Thursday asked House Speaker Nancy Pelosi to invite Taiwanese President Tsai Ing-wen to address a joint session of Congress, suggesting April 10 as an ideal date because it will mark the 40th anniversary of the Taiwan Relations Act. 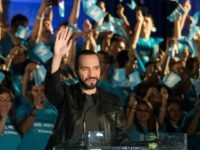 The new president of El Salvador, Niyab Bukele, is reportedly reconsidering his country’s relationship with China and intends to follow up on his campaign criticism of the previous administration’s deals with Beijing. 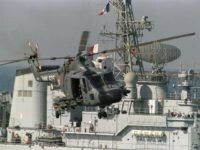 China sent Taiwan a Lunar New Year video this week that included footage of Chinese warplanes and the badge of the People’s Liberation Army Air Force juxtaposed with the tallest skyscraper in Taipei. 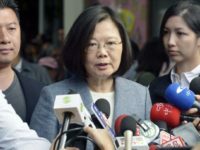 The Taiwanese responded with their own video of military exercises, making it clear they are prepared to fight for their freedom if necessary. 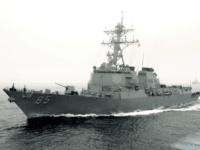 Two U.S. warships passed through the Taiwan Strait on Thursday in a Freedom of Navigation Patrol (FONOP). 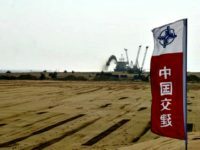 The passage was taken by Taiwan as a heartening show of American support, and by China as an annoying challenge to its military might and territorial integrity. 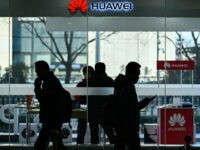 The Chinese Academy of Social Sciences (CASS), a think tank linked to the Communist government, issued a report this month declaring that many of the world’s largest companies are using “incorrect labels” for Taiwan and Hong Kong, by which CASS means describing them as anything but territories of China. 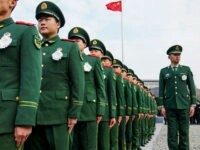 The Pentagon’s intelligence agency does not have a “strong grasp” on when China might try to invade Taiwan – a potential factor that could thrust the United States into a military conflict, according to a senior defense official.